But then, that's the kind of enthusiasm you'd expect from someone who's made a career out of rating and reviewing in-flight meals. Loukas travels over 180,000km each year for his website inflightfeed.com, which he uses to showcase the best – and worst – airline dishes. It started in 2012, "as a bit of fun. I'd just moved over to Europe and was not working, so I thought I would create this airline food information website." Now, in addition to writing reviews, Loukas helps to train airline staff to serve and sell in-flight food. During flights, Loukas tries as many different meals as possible – from economy class snacks to premium multi-course feasts. So which was his favourite ever in-flight meal? "Either the lobster thermidor or the Kyo-Kaiseki Japanese meal on Singapore Airlines in first class." No kidding – we'd like a bit of that too. "In economy class, Turkish Airlines does the best food." 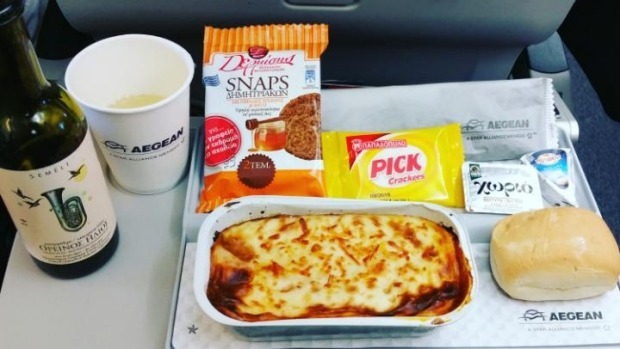 One look at Loukas's website reveals the horrors of in-flight meals: from sad-looking macaroni cheese to cardboard-esque pizza. But the worst? 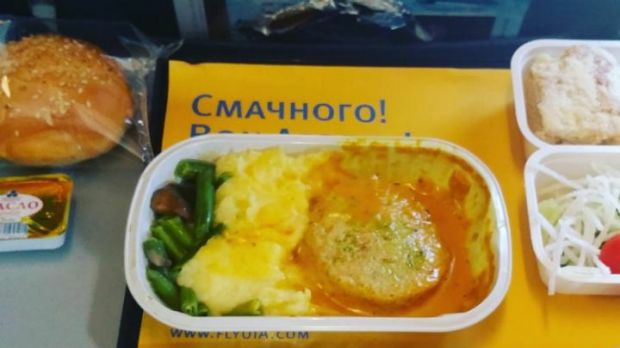 "Some sort of airline chicken mystery meat on Ukraine International Airlines. It cost €9 but was not pleasant." 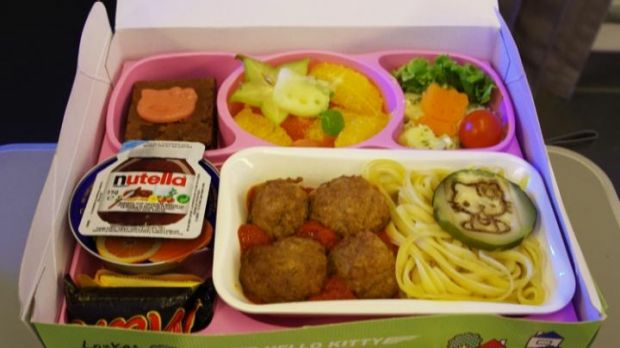 His most memorable, however, was a Hello Kitty kids meal on a flight from Paris to Taipei with Eva Air. "I specifically ordered the meal knowing that I would get this special boxed kids' version. When the crew came out to deliver it, they kept looking for the child sitting in my seat row. I had to own up to the meal sooner or later. My seat neighbours were quite amused." So what makes a good in-flight dish? "I like airlines that tell a story through their food. A bit like how Swiss or say Aegean Airlines try to give a taste of their respective home countries in their onboard offerings." Loukas's passion for plane food knows no bounds – he's now crowdfunding a documentary about this much-maligned industry, which aims to "show people what some of the best airlines in the world are doing in order to get you something edible." "Generally, airline meals get a beating, [but] not all airline meals are created equal."